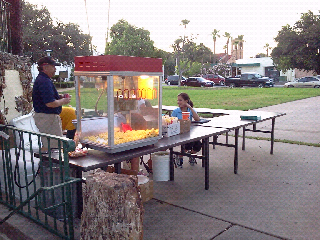 Part of the proceeds of today's sales at Burguesa Burgers will be donated to Food Bank RGV. It's Friday; if you've been waiting for your cheat day, then today's the day. Satisfy your burger lust and help feed the hungry in South Texas. Everybody wins. Image via WikipediaFor the last couple weeks of July, from the 18th to the 30th, Smashburger in McAllen is partnering up with the Food Bank of the Rio Grande Valley to collect school supplies for the Food Bank RGV's School Tools program. All you do is bring in three school supply items, such as three boxes of pencils, three packs of paper, three boxes of crayons (don't be chintzy on those), or other items, and Smashburger will give you a free kids meal. It's that simple. Anybody who has been to Smashburger probably doesn't need an excuse to go; so consider the free kids meal as icing on your big-hearted, charitable cake. The Food Bank of the Rio Grande Valley collects school supplies to help with their mission of fighting hunger in the Rio Grande Valley. For families who are already struggling with making ends meet, the annual school supply shopping can be a challenge. To help parents who have to choose between groceries or school supplies, the Food Bank RGV School Tools program provides the school supplies at no cost. If you would like to know more about Food Bank RGV, including their need for donations and volunteers, visit http://www.foodbankrgv.com. Make it a point to take some action while you're there. Awareness is good; but action is better. Food Bank needs YOUR help. If you would like to learn more about Smashburger, I would normally point you to their website; BUT instead, you need to boogie on down to 1020 W. Nolana in McAllen and let your taste buds tell you everything you need to know. Seriously. 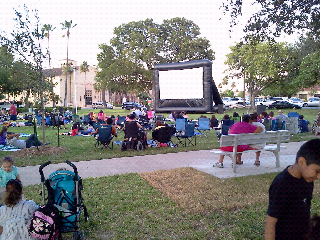 The City of Mcallen is hosting another Movies at the Park night. 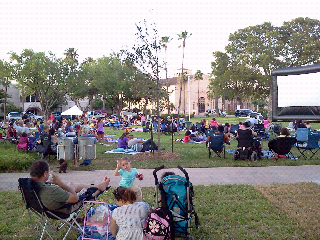 Tonight's feature is Iron Man 2. 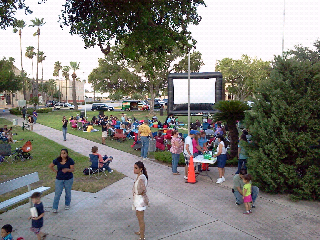 Find upcoming features at http://www.exploremcallen.com .